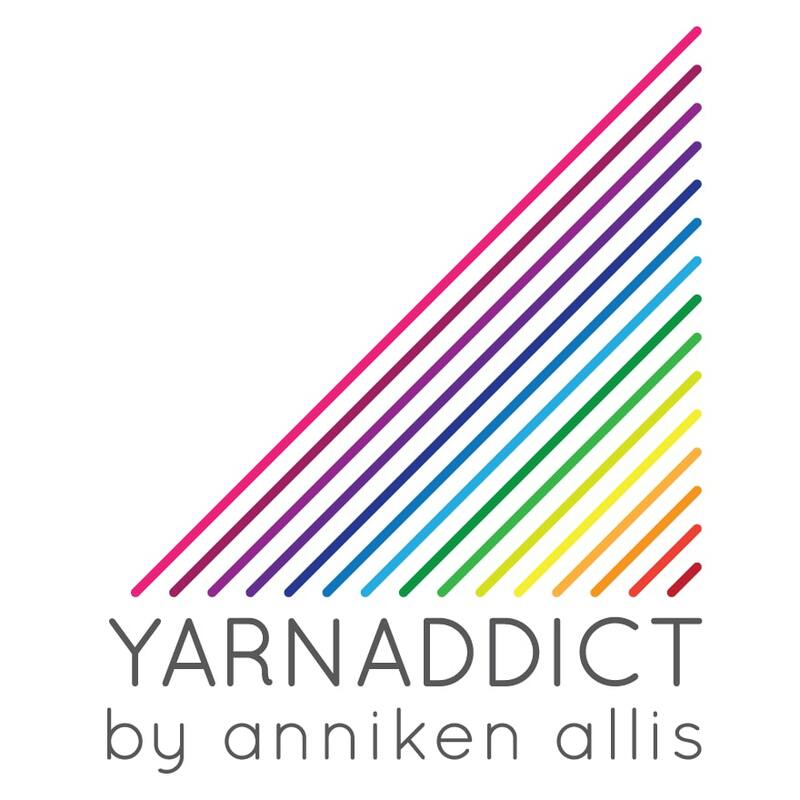 Confessions of a YarnAddict: Let's catch up on new designs! Let's catch up on new designs! The new issue of Let's Knit arrived yesterday and I realised I hadn't blogged about the last issue yet. I'm working hard to finish my book this weekend. All the pattern files and samples have to be sent off to the US so the last month has been rather busy. Once the book is done, I'll try to get back into a regular blogging schedule. So let's look at last month's Let's Knit. I think this may be in the shops for a few more days but I'm not sure. Parallel Lines is an easy summer sweater but it'll work just as well layered over a long-sleeved t-shirt in the winter too. It's knitted in Rico Design Essential Merino DK which is a lovely smooth superwash merino. The stripes are combined with easy intarsia to create a stripey colour block design. If you haven't done intarsia before, then this is the perfect garment to start with as you don't change colours on every row and you only work with one ball in each colour at a time. The sweater is worked in 2 pieces with stitches added at the underarm for short sleeves. In the new issue of Let's Knit, which I guess will be in the shops next week, I've got Twist Again, a sweater that combines fisherman rib with cables for a feminine look. This sweater is worked flat with set in sleeves. Twist Again has a wide shallow neckline and bracelet sleeves. Fisherman's rib was hot on the catwalks for the coming season and this sweater takes that traditional look and updates it with twisting cables for a modern look. The yarn is Stylecraft Luxury Wool Rich DK which is a very affordable yarn. A big thank you to Frances for knitting this sample. I designed Belinda for Artesano when they launched their Alpaca Silk 4ply recently and the pattern is also in this issue of Let's Knit. You can buy the pattern on Ravelry too. The Alpaca Silk 4ply is very luxurious. It's soft and silky. Belinda is worked in the round to the underarms. Then the front and back are worked separately to the shoulders, which are joined by working a three needle cast off. Stitches are picked up for the sleeves which are worked in the round from the top down. Stitches are also picked up for the garter stitch cowl collar. Because this sweater is worked in one piece there is very little finishing. Just weave in your ends, block and wear. And stocking stitch in the round is super fast to knit. Frances knitted this sweater for me too.